National Santri Day is an official observance in Indonesia held on October 22. It honors one of the two groups of Javanese Muslims that were identified by American anthropologist and sociologist Clifford Geertz. The Indonesian government officially recognizes only six religions (Islam, Roman Catholic Christianity, Protestant Christianity, Buddhism, Hinduism, Confucianism) but the majority of Indonesians identify themselves as Muslim. Clifford Geertz identified two main group of Muslims inhabiting the Indonesian island of Java, the santri and the abangan. The abangan practice a syncretic version of Islam that incorporates elements of Buddhism, Hinduism, and Javanese animist and folk traditions. In contrast, the santri practice a more orthodox version of Islam with the reading of the Qur’an, praying in mosques, and following the Sharia law. According to Geertz’s studies, the santri tend to be urban dwellers, while the abangan are more likely to be from village backgrounds. The santri played a key role in the Indonesian independence movement. In 1926, a group of the santri split from the Muhammadiyah organization and formed Nahdlatul Ulama, a traditionalist Sunni Islam movement. Following the proclamation of Indonesian independence, its members declared that the fight against the Dutch colonial forces was a holy war and therefore obligatory for all Muslims. 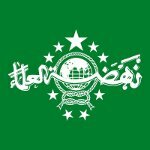 Today, Nahdlatul Ulama is the world’s largest independent Islamic organization. It funds schools and hospitals, as well as helps alleviate poverty. To commemorate the anniversary of the proclamation of the holy war by Nahdlatul Ulama, the Indonesian government created National Santri Day in 2015.